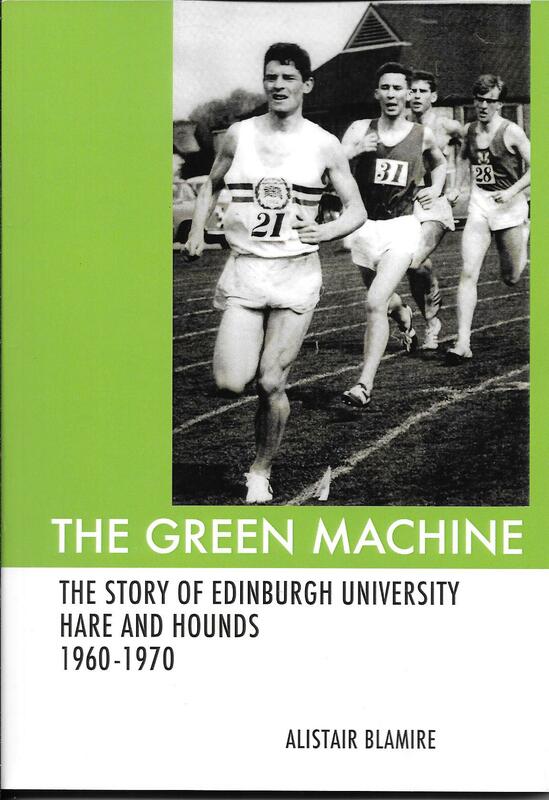 The standard of Scottish athletics in the ’60s was high but nowhere higher than in Edinburgh where the Southern Harriers and Athletic Clubs were doing great things – the real story however had to the one about the University Hare & Hounds team. Universities have, by their very nature varying degrees of success from year to year with continuity being hard to achieve. Students come and students go. But when the team of the late 60’s on into the early 70’s not only attained a higher standard than ever before, but maintained it year after year for slightly longer than a decade, it really was something to be proud of. This new publication is highly recommended to anyone interested in the history and development of distance running, particularly by serious top-class Scottish amateur athletes in the 1960s and 1970s, an era which produced so many fine performances which remained unequalled by Scots until very recently. This is mainly ‘The story of Edinburgh University Hare and Hounds 1960-1970’. However, the frame of reference ranges from the 1920s to nowadays, and cites worldwide influences. Simply reading the excellent index is a pleasure, since it lists so many names, events and places which are significant to runners with a keen interest in their sport. The foreword is by Donald Macgregor (a leading competitor in the 1972 Olympic Marathon), who had often trained with the classy green-vested runners of Edinburgh University – when they included in their number two other Olympians (Fergus Murray and Gareth Bryan-Jones) and athletes who took part in Commonwealth Games, ran for Great Britain and Scotland, broke records and achieved victories in championships and important races in Scotland and other parts of Britain. Alistair Blamire was one of their stars – he represented Britain in the steeplechase and was often a Scottish international cross-country runner – and writes with elegant precision about the historical context for the great success of EUH&H. A major chapter is about the career of Fergus Murray who, learning from the training ideas of Percy Cerruty and Arthur Lydiard, improved to world class and inspired many clubmates to train very hard and emulate his success. The book includes fascinating details about prominent Edinburgh Harriers and their individual and team achievements. They poured tremendous energy into training and racing but often found a little more to celebrate afterwards! Impressive statistics are also provided; as well as forty interesting black and white photographs of teams and races. The overall effect is a detailed insight into: the end of the amateur period, when Scottish distance runners were highly rated in Europe; and their personalities, rivalries and social lives. 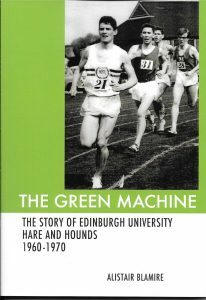 To order a copy of ‘The Green Machine’ please send a cheque for £12, payable to Alistair Blamire, and a note of your full address, to Alistair Blamire, 97/5 East London Street, Edinburgh, EH7 4BF. A copy will be posted to you as soon as possible.